BRIGHT LIGHT - 40Watts and is more efficient than regular A19 bulbs. 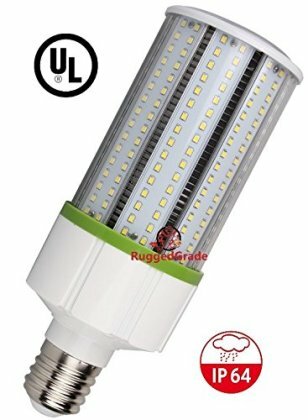 4,600 Lumens and can replace a HPS/HID/HALIDE lights, 250W incandescent or 90W CFL. 4000K light color ensures a bright natural white light.